What Are the Needs of Galveston County Senior Citizens? Recently, I was reading an article from a small newspaper in Ohio, The News-Herald celebrating 40 years since the forming of the Lake County Council on Aging (Bonchak, 2012). The Council, based on a former non-profit organization, was formed based on an official charter issued by the State of Ohio. The article described in clear detail what has been accomplished in these 40 years to track and address the needs of the area’s senior citizens. The ultimate goal was always to improve their quality of life. I was very impressed with, not just the longevity of such a council, but their commitment to the community’s older residents. They addressed the need to establish the first senior centers in several towns within the county, expanded the Meals on Wheels program, formed a caregivers support group, and a medical equipment and supply program for seniors, just to name a few accomplishments. And of course it got me thinking about what do or do not do for the seniors in Galveston County, particularly those in the city of Galveston, still reeling from the devastating effects of hurricane Ike from four years ago. For example, the city has yet to repair or replace the Multipurpose Senior Center, and the ugly, much publicized debate about public housing and how do we provide adequate housing for our local older citizens if we do not seem to value them. Do we have any idea of the true needs of the senior citizens of Galveston? Do we know how they feel about their lives, their health, transportation, and nutrition needs, effects of crime, lingering effects from hurricane Ike, housing needs, and the very real threat of isolation, as well as, fostering any positive aspects related to their quality of life? Almost 20 years ago, the UTMB Sealy Center on Aging conducted a needs assessment survey of a random sample of Galveston County residents, 75 years of age or older. We found extremely interesting and helpful information on attitudes and needs for hurricane evacuation and the extremely negative effects of crime where 75% did not feel safe leaving their homes after dark. More than 50% were unable to walk five blocks. There were huge transportation limitations, lack of adequate social support, and inability to cook or go shopping. On a positive side, we found over 70% considered their lives to be adequately active and involved in their community. We developed a report of this data and used it to help guide county officials in utilizing available funds to address these issues. It is unknown just how much of an impact this project had, but it opened my eyes to some of the very real needs of our older seniors. It is time to begin thinking about a follow-up survey or some means to connect with the senior citizens of Galveston County. I do not believe we have strong evidence of the needs, attitudes and conditions which are affecting their quality of life. A lot could have changed in 20 years since the last survey. What do you think we’ll find out? Bonchak, J. Lake County Council on Aging celebrates 40 years. News-Herald, 10-11-12 (http://www.news-herald.com/articles/2012/10/11/news/nh6084718.txt). [06:26] awscarbrough: Well should we chat about the GEC blog? [06:27] Drdtrain: Yes. Can I share a brief history of Galveston’s previous commitment to elderly needs? [06:29] Drdtrain: The City Council used to have these tasks forces (ad hocs) to address needs of certain populations. When I first started with SCoA I joined the one examining needs of disabled & elderly..
[06:29] Drdtrain: It was a great group of really committed people. We looked into everything from transportation to meals on wheels programs to emergency evacuation. [06:30] Drdtrain: Then the mayor Barbara Crews finished her term and the new Mayor had no desire to continue with these groups. So they all went away. [06:31] Drdtrain: I feel it has been a real challenge to stay connected with how disabled & elderly are really doing on the Island. [06:32] Drdtrain: Now I was wondering should we expand this conversation to needs at a more global level or stay local. Rodger, what about your neck of the woods? 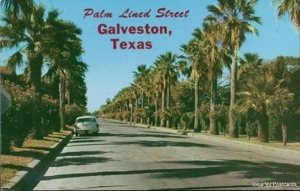 [06:33] Rodger Markova: Let’s stay generally on Galveston. I’m familiar with it and actually somewhat less so about elderly needs here in Wimberley as we have no group looking into elder needs here either. [06:34] awscarbrough: I am somewhat familiar with Wimberley. Do you think they are better organized than Galveston? [06:35] Rodger Markova: Amanda, Wimberley being smaller has both good and bad aspects. I know city council is not focused on elder needs, but we do have an excellent senior center with active programs, a rural transportation system, very active and supportive churches, a LTC facility, one urgent clinic and a fair number of physicians. [06:36] awscarbrough: I thought that area would be booming with all the seniors moving to the hill county. [06:37] Rodger Markova: Not in a dramatic sense, well not yet. Wimberley is served by hospitals and medical groups in Kyle, San Marcos and Austin. Growth in Kyle in health services has been huge. [06:38] Drdtrain: OK. Some programs here with SCoA like The Rev Helen and back when we had Senior service provided good programs for seniors – although usually the same active seniors participated. I guess we have Michell Seripina’s group that is active at the Island Center. [06:39] Drdtrain: But again, reaching those who are less likely to travel Yes. I remember her efforts. She’s retired now I think. [06:40] Drdtrain: I do like it that when addressing social issues are proposed by Lexi Nolan’s group, she includes Seniors and usually gets with me to represent them. I was wondering of contacting her for an update. Amanda, how do you feel about helping a little on this. Won’t take much, just bouncing ideas around. [06:41] awscarbrough: I would be happy to get in touch with her. [06:43] Drdtrain: Great. I know she has lots to do and limited resources and housing is the current order of the day, but Goodwin has been receptive to looking into funding for this. Maybe partner with Lexi. [06:44] Drdtrain: Doers anyone remember Ivan Arceneaux when he was the star of the Galveston Senior watch? [06:46] Drdtrain: He recently died, He was a Rev from Louisiana – real Cajon. He was real sharp and absolutely no nonsense when it came to speaking his mind for senior rights and needs. I used to sit in meetings and see him squirm when the conversation was going nowhere. Great guy!! [06:47] Rodger Markova: Every movement needs spirited advocates. [06:50] Drdtrain: Yes. We lost a real advocate in him. Another good group was the Pachyderm Group. Wonder if they’re still around? [06:53] Drdtrain: OK. Bye Amanda. [06:54] Drdtrain: So Rodger. Enjoyed our chat.